Their biggest influences are the Kompakt label, Carl Craig and Prince, and they’re named after a track by Blackpool post-punk confederacy Section 25. 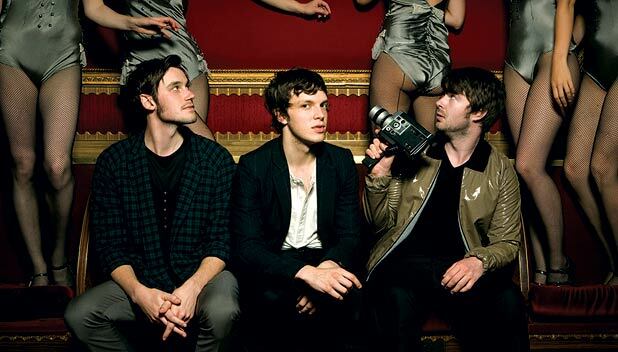 St Albans trio Friendly Fires (Ed MacFarlane, Jack Savidge and Edd Gibson) are one of Connect’s must-watch bands and, in their most commercial mode, they sound like LCD Soundsystem fronted by Beck. Head to their MySpace, listen to ‘ExLover’ and prepare to marvel. Guitars and Other Machines Stage, Sat 30 Aug. The Californian quintet look like the cast of Point Break, and will undoubtedly divide opinion this autumn. Headed by singers and keyboard players Jarvis Anderson and Sam Martin, the brand new Echo Park-based outfit create shiny electro-pop music that’s laden with just enough angsty attitude to soundtrack an American teen soap. Like Red Hot Chili Peppers meets Buggles. Guitars and Other Machines Stage, Sun 31 Aug.
Veterans of the same NME tour as Friendly Fires, Toronto duo Ethan Kath and Alice Glass sound like a more disco version of The Knife, and one who seem moderately more cut out for overground success. But only a bit, with their squelchy synths, retro-futurist drum machine ticks and heavily processed vocals from Glass. Unknown Pleasures Tent (curated by Optimo), Fri 29 Aug.
His debut album Hope was released last year, but Belfast’s Vance is one of the ever-more-ubiquitous new breed of singer-songwriters who deserve big success. ‘The missing link between Richie Havens and Stevie Wonder,’ said The Independent, and we aren’t inclined to disagree. Guitars and Other Machines, Sun 31 Aug.